Kenneth Clayton is one of the first trailblazers in Black chess. His predecessor Walter Harris broke many barriers for Black chess players and shortly thereafter, Clayton joined the fight. Winning the 1963 U.S. Amateur Championship was a proud achievement and he made way for Frank Street, who won the title in 1965. Clayton's opponent is reputed to be one of Mexico's strongest players in history. He was considered a strong IM for many years and was criticized for playing too little after having earned the GM title. However, Sisniega has been one of the principle organizers of major tournaments in Mexico including the World Championships. 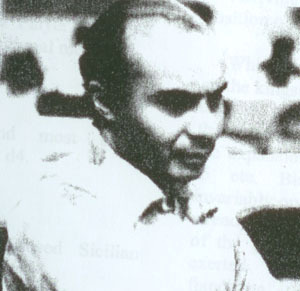 Having earned the title of National Master in 1967, Clayton continued to play active chess and the following game occurred 25 years after his coveted victory. Sisniega-Clayton featured an exciting opening and middlegame and then evolved into an interesting ending. Clayton had equalized early and gained an advantage only to see it evaporate in the latter stages. "IM Marcel Sisniega - NM Kenneth Clayton"